Prominent & Leading Manufacturer from Ghaziabad, we offer car air freshener, under body anti rust coating, auto body shiner, adhesive chain lube, battery terminal coating and chain cleaner. Twin Tech India Pvt Ltd is ranked among the reliable Manufacturers, Exporters and Suppliers of an expansive array of Car Care Products, which includes Car Air Freshener, Car Body Cleaner, Car Glass Cleaner, Car Perfume, Car Deo, Car Wash Shampoo, wheel cleaner, Rust Remover etc. UBC0115 Under body Anti Rust Coating: Evershine Under body anti rust Coating Spray forms a rubbery layer over repair work, replacement parts, and weld joints in order to protect them from debris and water. 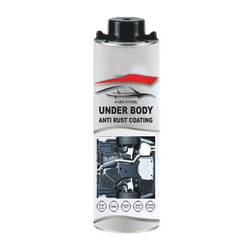 Evershine Under body anti rust Coating forms a watertight seal that resists salt corrosion and rust. Seal cracks and leaks and protect expensive repair work under a thick, rubbery skin. Properly done undercoating and rust proofing can protect important components of the car from corrosion. ABS0102 AUTO BODY SHINER: Auto Body Shiner leaves your auto body ultimately clean leaving no grounds of dust. It is a great shiner. It efficiently aids in maintain the auto body shine for a longer time-period as it acts as a protective coating. These car auto body shiners guard car surface from external factors like corrosion, sunlight, and pollution. These are even utilized for removing light oxidation and micro scratches. Applications: Autobody Shiner leaves your ultimately clean leaving no grounds of dust……. ACL0112 ADHESIVE CHAIN LUBE: Adhesive Chain Lube is a highly effective lubricant that has good mechanical stability and can penetrate at low temperature into tight inaccessible areas. This adhesive chain lubricant offers great resistance to water and high temperature as it is highly tenacious. This solvent carrier gets evaporated and leaves behind an adhesive lubricating film, which provides protection from moisture, dust and corrosive environment. Further, it is very effective in protecting against wear due to bending, twisting and stretching. BTC0119 BATTERY TERMINAL COATING: Air tight, water proof and acid resistant, anti-sulfation coating. 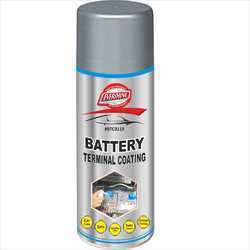 Resistant to heat, gasoline, oil & grease, will not crack or peel when correctly applied on undamaged batteries operating in conditions of medium acidity. Chain Cleaner is specially designed to clean metal parts from oil grease etc. Its heavy duty cleaning and degreasing action dissolve the grease, carbon, dirt in minutes. This is very effective fast evaporating aerosol cleaner and very useful to clean chains, bearings, bolts, conveyor, engine parts, assemblies etc. 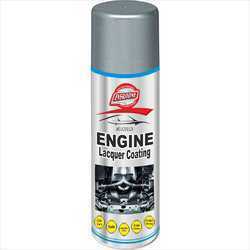 ELC0113 Engine Lacquer Coating: The specially designed acrylic high temperature coating provides a fresh and new look to the engine surface. Comprising of metal, vinyl and rubber surfaces as well as well. This outer surface coating does not harm any parts or even components. It's heat resistance behavior provides long lasting flexibility for rubber parts. It never allows dust accumulation firmly or easily. TBC0110 THROTTAL BODY CLEANER: This powerful formulation of concentrated solvents is specially formulated to remove dirt; carbon, gum and varnish deposits that tend to build up on the moving & sealing surfaces of engine carburetors, heat values & automatic chokes, throttle bodies, PCV valves & linkages. Our product helps to free sticky valves, struck heat risers and throttle linkages. Periodic use on cars, trucks, airplanes, boats, lawnmowers etc., will keep engines clean, fuel efficient and trouble free. Applications: Remove air intake tube; spray Throttle Body Cleaner in and around throttle plate clean excess carbon and resin using a cloth. Start engine and allow to run at high RPM. 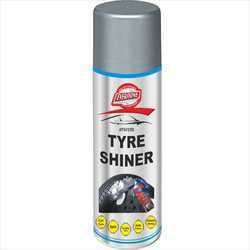 Car Tyre Shiner is a polymer base formulation to give active foam when sprayed on tyre walls. It removes tire stains and scuff marks, making the tyre look like new again. Car Wash Shampoo is made with premium quality ingredients, does not harm the human skin, paints and the metal of the cars. The gloss of the car is immediate restores after cleaning. Evershine Car wash shampoo can be used for cleaning alloy rims and rim covers also. It can also be used on all kinds of painted surface like scooters, bikes, refrigerators, Furniture painted door and walls. Evershine Car wash shampoo contains special fine fragrance to reduce surface smell when the water is used in circulation. Dash Board Shiner leaves your dashboard ultimately clean leaving no grounds for dust. It efficiently aids in maintain the dashboard shine for a longer time-period as it acts as a protective coating. These car dashboard shiners guard car surface from external factors like corrosion, sunlight, and pollution. These are even utilized for removing light oxidation and micro scratches. BC0116 BRAKE CLEANER: The powerful flushing action and a high solvency formulation makes cleaning brake linings, drums, disc pads and most other metal parts faster and easier. Removes brake fluid, oil, greases and other contaminants instantly. Evaporates quickly leaving no residue. Contains no ozone depleting solvents or CFCs. Applications: Spray brake parts liberally and allows to run off. Allow to air dry or wipe off with a clean, dry rag. Repeat for extra heavy deposits of grease, oil or brake fluid. Do not allow spray to come in contact with rubber parts. SC0117 Silencer Coating: Evershine Silencer Coating is exposed to dirt, grit and water due to its location near road. This makes it highly prone to corrosion. Specially formulated Evershine Silencer Coating is a new generation resin which provides a good protection against corrosion as well as high temperature and gives a fresh and new look to silencer. TML012533 TREADMILL LUBRICANT: Treadmill lubricant keeps for treadmill in optimal condition using 100% silicon spray lubricant. Proper lubricant on the underside of the walking belt is required to reduce heat and friction, prolonging the life of the motor, electronics, belt and deck. Treadmill lubricant contains no harmful solvents and is colorless, odorless, non-toxic and nonflammable. We recommend you to lubricant your treadmill belt every 40 hours of use pr every 3-month, Whichever comes first. 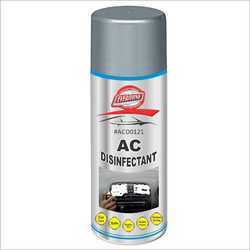 ACD0121 AC Disinfectant: Special cleaner for cleaning and disinfection of vehicle air conditioning systems. Disinfects, cleans, protects. 6. Direct application on the air conditioning system's evaporator through an extra long hose with a special nozzle. We recommend disinfecting the entire air conditioning system at least once a year"